Pearl Taylor was born in Lindsay, Ontario in 1871. At the age of seventeen she married a man named Brett Hart. The marriage was unhappy and Pearl Hart decided to leave her husband. 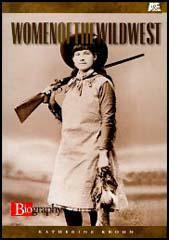 In 1892 she arrived in Phoenix, Arizona. Her husband eventually found her and they continued their stormy relationship until he joined the army. Pearl now become a cook in a mining camp. 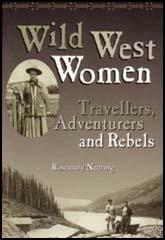 In 1898 Pearl Hart and a miner, Joe Boot, robbed the Globe to Florence stagecoach. Research suggests this was the last stagecoach robbery in American history. Hart and Boot managed to obtain $431 but they were captured three days later. Hart was sentenced to five years. However, Boot got 35 years. Hart was the first woman to be sent to Yuma Territorial Prison. In 1901 it was discovered that Hart was pregnant. This caused a serious problem as the only two men who had been alone with her was a church minister and the Governor of Arizona, Alexander Brodie. To avoid a scandal the prison authorities decided to release Hart from prison. After the birth of her child Hart worked as a prostitute. 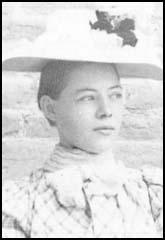 1904 she was again arrested at Deming, New Mexico, on suspicion of being involved in a train robbery but was eventually released for lack of evidence. Hart then performed with the Wild West Show before marrying a rancher in Arizona. It is believed that Pearl Hart died in about 1960.